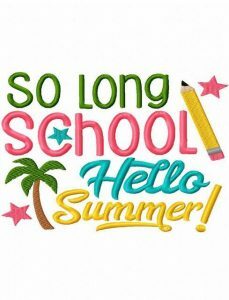 Hurrah the school holidays have officially started and we are super excited for what the summer has to bring. Lots of Isle of Wight self catering holidays are now starting. The Wight Holiday Company are offering a 20% discount on late availability on Isle of Wight self catering properties. If that alone is not enough to tempt you, you will be pleased to know that we also are offering half price ferry crossings on both Wightlink and Red Funnel which means you have more money to spend of ice cream and adventures! Now go pack you bucket and spade, sun cream and swimmers as summer is in full swing on the Isle of Wight and you will not want to miss out. A visit to the Isle of Wight wouldn’t be complete without visiting some of our famous beaches. The Island currently has the highest number of award-winning beaches in England, take a look at The Wight Holiday Company BEACHES page for an insight on which may suit you best. You can always keep the kids entertained at a fun park like Robin Hill Country Park, or by visiting fantastic animal attractions such as the Isle of Wight Zoo. For an engaging, inspiring and exciting day out visit the award-winning Isle of Wight Steam Railway, based just outside of Ryde on Havenstreet, and take a ride behind one of their vintage steam locomotives for a special journey back in time. Possibly the Island’s most recognisable landmark is The Needles Rocks and Lighthouse, nearby to which The Needles Landmark Attraction is full of things to entertain all the family. Where ever you choose to stay, whatever beaches you decide to relax on and places you visit on the Isle of Wight, you will have an amazing holiday!